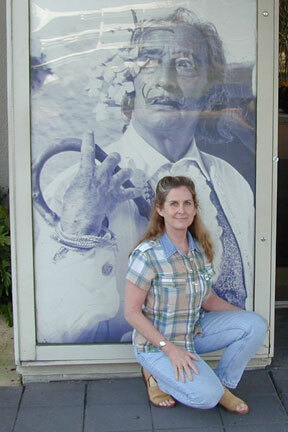 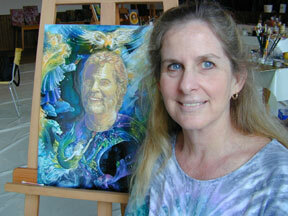 2004 Cynthia was working on a portrait of Robert Venosa. 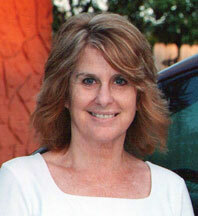 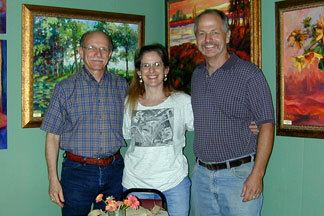 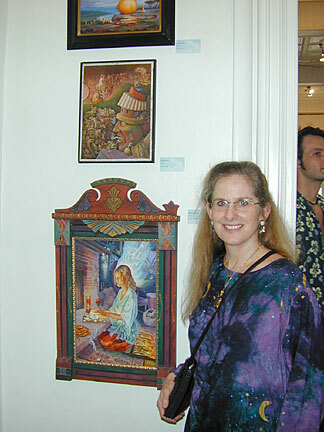 Cynthia was the creator of the website for the Society for Art of Imagination and managed the site for 3 years. 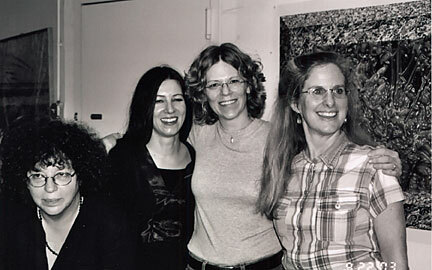 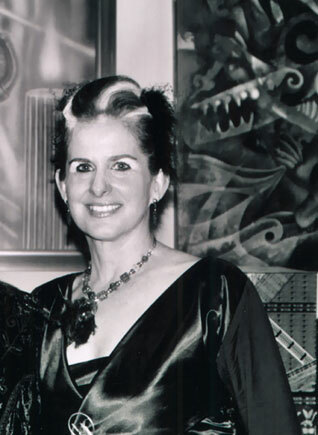 She was known as the "WebWitch" and dressed the part at the big New York Brave Destiny exhibition in 2003. 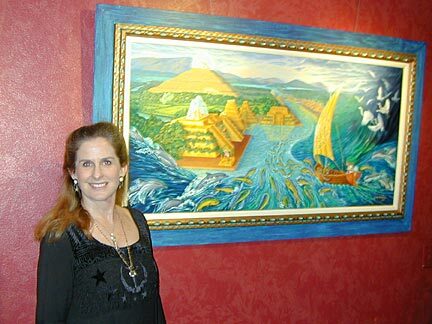 She retired from the website work in 2004 in order to spend more time painting. 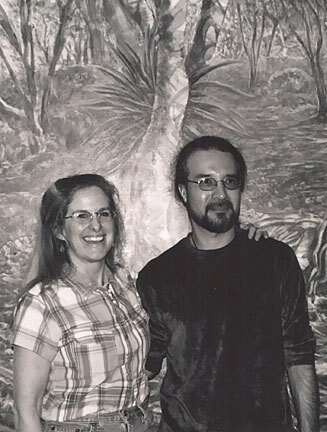 Cynthia and Andrew Gonzalez pose in front of an Olga Spiegel painting.